Want a personal loan that offers flexible payment terms and affordable rates? Or maybe you simply want to get a loan that has no extra fees? If these are what you’re looking for, then the Barclays Online Personal Loan is the right one for you. The Barclays Online Personal Loan is perfect if you want budget-friendly deals that require NO extra fees. If you are interested in learning how you can get access to your own loan, continue reading. 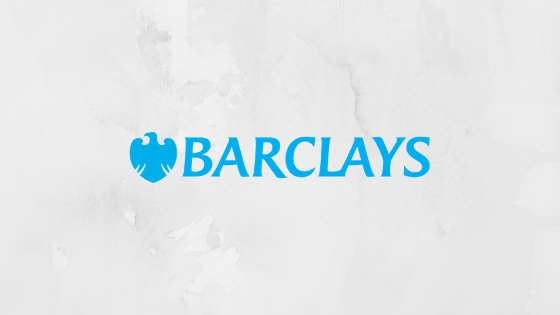 Barclays takes pride in bringing flexible and affordable loans that won’t hurt your wallet. For one, they will help you get loans up to $35,000! With this in your arsenal, you can finally travel abroad, consolidate your debt, achieve your dream wedding, or renovate your home. Whatever your purpose may be, you will certainly benefit from having a Barclays Online Personal Loan. Another feature you won’t want to miss out on is being offered some of the lowest rates on the market! Here, Barclays offers rates for as low as 5.74% APR depending on your credit standing. Even better, you can pay off your loans in 36, 48, or 60 months! With this offering, you won’t have to feel strapped for cash or have to pay for everything all at once. With Barclays, you can take everything one step at a time – at your own terms. You can even choose your preferred payment due date or to pay off your loan early. And last but certainly not the least, you can finally get your much-needed financial freedom. Since this personal loan is more affordable compared to credit cards, you can say goodbye to high-interest debt. You can even check your rating online without affecting your credit score. Applying for a Barclays Online Personal Loan has become more accessible. Simply head on to the Barclays website, type in your desired loan amount, and you can fill out the online application form. To apply, you need to provide your personal information and employment details. These include your name, date of birth, mailing address, housing situation, total gross annual income, contact details, and your Social Security Number. If your application is approved, you can take out a loan ranging from $5,000 to $35,000. The annual percentage rates (APRs) for your Barclays Online Personal Loan ranges from 5.74% to 18.99%. This is largely based on your creditworthiness and the terms of the loan of your choice. The loan terms available you can choose from are 36, 48, or 60 months. For example, a $10,000 loan amount with 5.99% APR and a 48-month payment term entails paying $236 per month for 48 months. Whether you intend to make major purchases, prepare for your medical expenses, take a vacation, or restructure your current debt, the Barclays Online Personal Loan is the best choice you can rely on. With its competitive rates and flexible terms, you’re certainly in for a treat. Apply now and get your loan today!